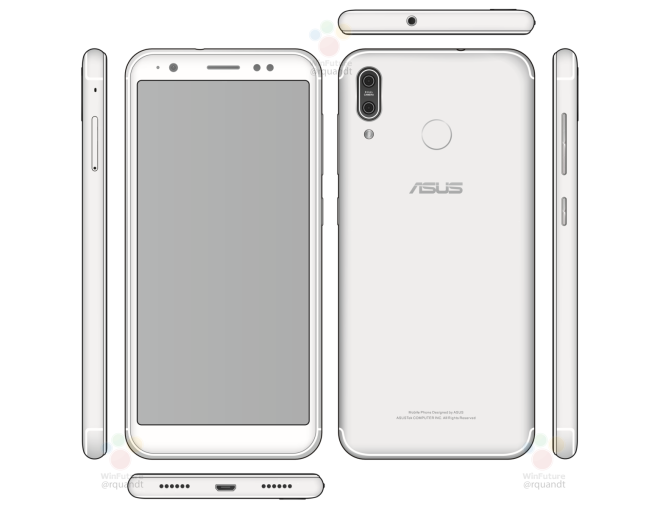 Home Mobile And Gadgets ASUS ZenFone 5 leaked with 18:9 display and dual cameras! Following the launch of the ZenFone 4 series last year, ASUS is now working on its next series of smartphones under the ZenFone 5 moniker. The brand recently sent out media invites for an MWC press event on February 27th, where it is expected to unveil the new range. 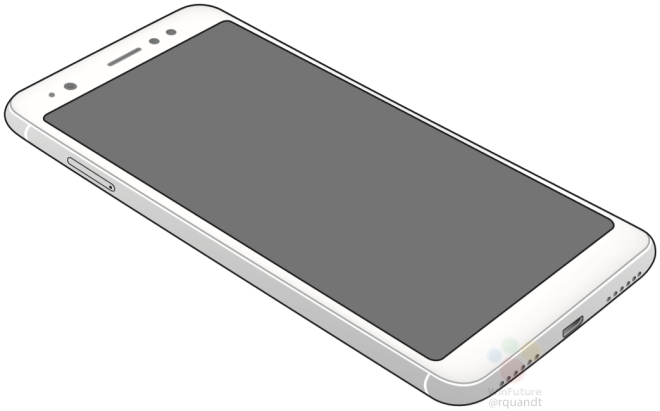 Now, thanks to notable tipster Roland Quandt, we have renders of an entry-level model from the ZenFone 5 series with the codename ASUS X00PD. The renders, which come from a manufacturer’s manual, reveal a rather large 18:9 display, rumoured to measure 5.7-inches diagonally. At the back, we can see a dual camera setup in a vertical arrangement, which reminds us a lot of the iPhone X. Other details include a unibody metal design with a rear fingerprint scanner. Under the hood, the smartphone is speculated to use an octa-core Snapdragon 430 SoC clocked at 1.4GHz, coupled with at least 3GB of RAM. Interestingly, the device in question also comes with dual-SIM functionality with a dedicated microSD card slot. In terms of battery, the phone will purportedly be fuelled by a large 4,000mAh unit. The leaked images point towards the inclusion of a microUSB port for charging and data transfer, instead of the newer USB type-C standard. The phone in question is expected to run Android 8.0 Oreo out of the box, with the brand’s ZenUI skin on top. Unfortunately, there are no details regarding the pricing and availability details of the smartphone. What we do know however, is that the phone might launch alongside three or more other smartphones, all under the ZenFone 5 umbrella. While none of this information is confirmed, we won’t have to wait long to find out.